Steve Rogers will and has always been the Captain America, but there have been many other characters who have taken the title. James ‘Bucky’ Barnes, Roger’s long-time sidekick, took the name after Rogers was "killed" in the Death of Captain America arc from 2007 to 2008, but over the last 75 there have many characters who have done the same. Tonight we have learned about the latest. Joe Quesada, Chief Creative Officer of Marvel Entertainment, was a guest on The Colbert Report this evening, and, as teased earlier today, made a big announcement about Marvel Comics. As noted by Entertainment Weekly, Sam Wilson will be featured as Captain America in the brand new "All-New Captain America #1," which is set to be released in November. It’s only been three years since Steve Rogers took the identity of Captain America back from Bucky, but he’s been going through some hard times recently with writer Rick Remender holding the pen. In the comics, Rogers has lost the super soldier serum that turned him into a superhero, and has been transformed into a 90-year-old man both physically and mentally. Obviously, he can’t really fight crime and protect the world in that condition. 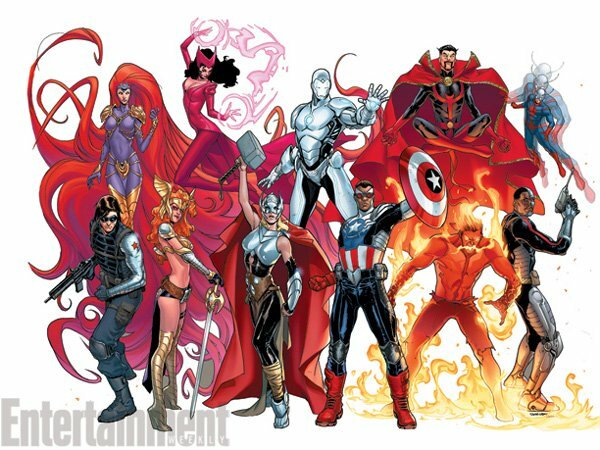 In addition to the new Thor and Cap, the group will also include Scarlet Witch, Iron Man, Doctor Strange, Ant-Man, Deathlok, Winter Soldier, Medusa, Inferno and Angela. Much like when Michael B. Jordan was cast as Johnny Storm a.k.a. The Human Torch in the Fantastic Four reboot, we can probably expect a lot of people to get their feathers all riled up over this news. 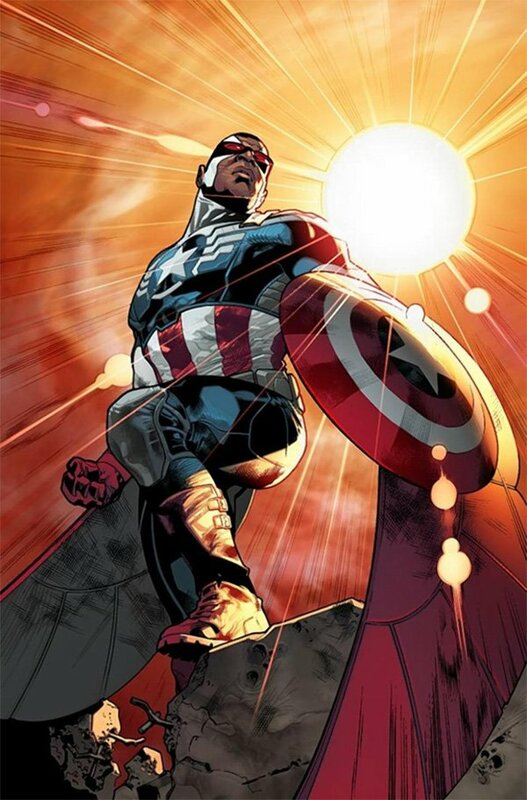 To those people I will say this: Sam Wilson being Captain America is both an interesting experiment that could generate some cool storylines, and also probably very temporary. Much like how no superheroes ever really "die" in comics, we can expect that in a few months/years (depending on sales) Steve Rogers will get the super soldier serum back and once again will become Captain America. So just enjoy the idea for the narrative opportunities it presents and stop complaining.